Note: CLAMS has contracted with Shoutbomb for text messaging services. Create a Shoutbomb Text Messaging contact on your phone, and enter the phone number (508) 503-1253. Then reply to the messages from Shoutbomb. You should receive two messages. The first will request your library card number and the second will request your PIN/Password. Shortly after registering you should receive a welcome text from Shoutbomb. There may be several minutes of delay between texts. 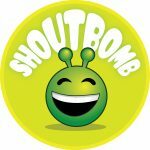 If you do not recall receiving a welcome text, you can test your connection by texting MYBOOKS to the Shoutbomb contact you created. You should receive information on the items checked out and total fees/fines within a few minutes. Service Keywords/Commands: is a list of keywords that you can use to manage your account by texting them directly to the Shoutbomb Text Messaging Service. HL Text HL to see a list of your items available for pickup. OL Text OL to view a list of overdue items. MYBOOKS View the items checked out, items available for pickup, and total fees/fines. DROPCARD To end text alerts for a specific library card, text DROPCARD+specificlibrarybarcode+password/pin. NEWPASS If you change the Password/PIN number for a specific library account, text NEWPASS+yourlibrarybarcode+password/pin to update your account with the text notification service.